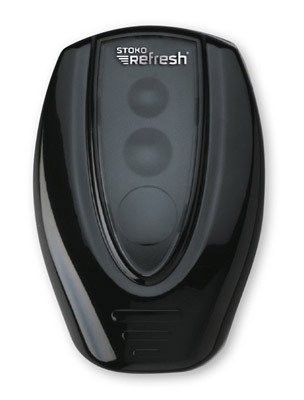 Stoko Refresh distributor 500 D black. Compared to conventional systems, the STOKO® Refresh 4-in-1 system offers great flexibility. Whether it's lotion, gel, spray or foam, with STOKO® Refresh you only need one type of dispenser for all forms of dispensing. STOKO® Refresh dispensers can be customized and fit perfectly into any sanitary installation. They are easy to use and available in two sizes, for refills of 500 ml and 1000 ml.